Getting started with Messente but you have no contacts in the phonebook? 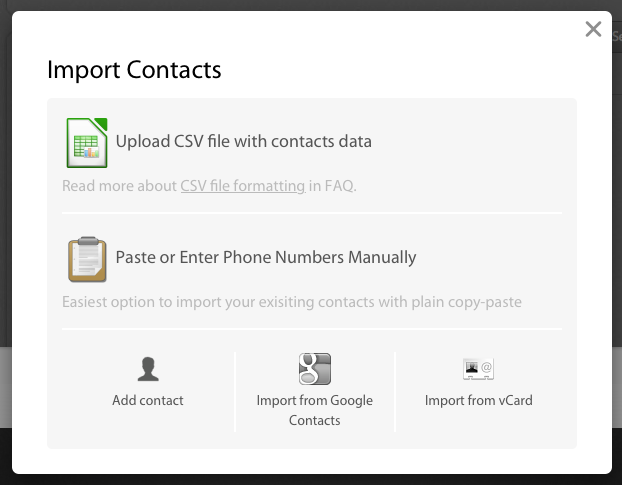 If you are using an Android phone, you probably have your contacts synced to a Google account. 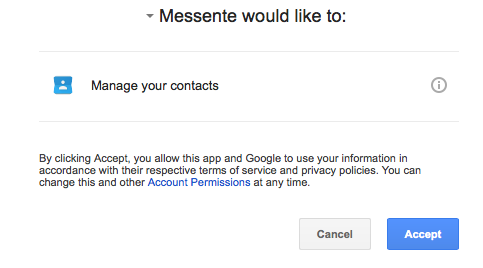 Did you know that Messente can sync your phone contacts straight from Google? 2. 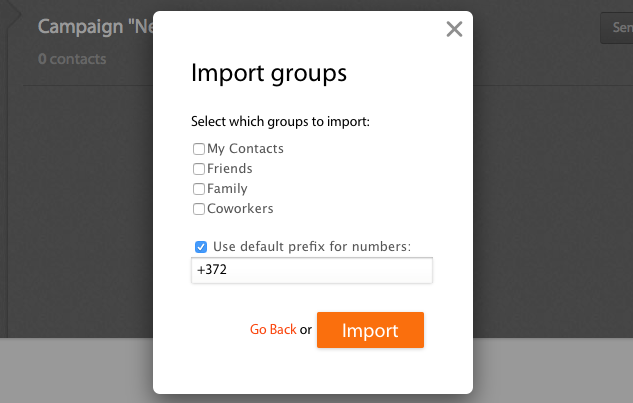 Choose “Import from Google Contacts” from the pop-up window's "More options..." section. 5. And you are done!